In March 2018, the Vietnamese President Tran Dai Quang met South Korean President Moon Jae-in in Hanoi, the capital of Vietnam. The meeting was to promote the Vietnam Korea Free Trade Agreement (VKFTA) of 2015, increasing the original goal of US$70 billion of bilateral trade by 2020 to US$100 billion. According to the original free trade agreement, Vietnam had to reduce its tariffs by 89 percent on Korean imports while Korea reduced 95 percent of the tariffs on imports from Vietnam. It was predicted that this agreement would bring 400,000 jobs to Vietnam. Vietnam’s main imports from South Korea are electronic components, machinery, plastic, and fabric, while Vietnamese exports mostly include garments, cellphones, and seafood. The agreed goal of the two countries is to increase bilateral trade to US$100 billion by 2020. South Korea has been moving away from trade with China, with a renewed focus on Vietnam. Samsung is the largest corporation with foreign direct investment in Vietnam, and with huge investments from this company alone, the goal seems obtainable. Lotte, one of South Korea’s largest department stores chain, closed many of its locations in China as they were not able to turn a big enough profit. Hence, Lotte is now looking to open more stores in Vietnam to increase its presence in the region. It plans on expanding to 87 locations by 2020, compared to the current 13 locations. Around 40 to 50 percent of Samsung’s cellphones are produced in Vietnam in either one of their two locations: Bac Ninh and Thai Nguyen, the second employing as many as 60,000 workers. 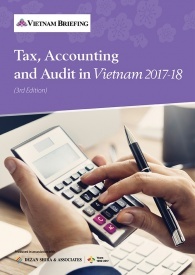 In 2016, the Vietnamese government started giving even bigger tax breaks to Samsung because they outsource substantial amount of manufacturing to Vietnam, due to low labor costs. China, formerly one of South Korea’s main trading partner, is losing some of its advantages. 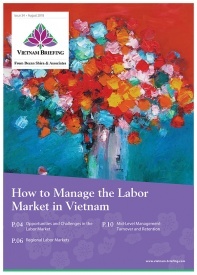 Wages are now twice as much as in Vietnam and the overall population has started to age, including the workforce. 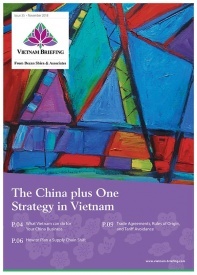 Vietnam has primarily been producing finished products, as opposed to China where raw materials are the main commodity. South Korea’s foreign direct investment in Vietnam’s textile industry totals US$2 billion and both countries hope to increase this to US$50 billion by 2020. Vietnam has been pushing the textile industry to meet the demand for raw material for clothing manufacturers, as in 2014 they only accounted for a fifth of the nation’s demand. Locally sourcing raw materials and machinery increase the profit margins for companies. 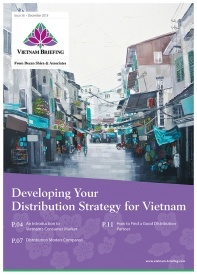 There are some issues related to production standards and pollution in Vietnam, and careful consideration of working conditions, zoning issues, and environmental impact should be included in a company’s investment plan. In 2016, a Taiwanese company was accused of environmental pollution and after pressure from public protests, agreed to pay US$500 million for damages. So far, South Korean firms have avoided environmental scandals in Vietnam, but in 2011, a South Korean company KB Autosys was accused of irresponsible toxic waste dumping in Miyun County, China. After the scandal broke, the company agreed to take responsibility and provide compensation for proper disposal of the waste. The politically strengthened and growing business ties between South Korea and Vietnam will provide benefits to both countries. 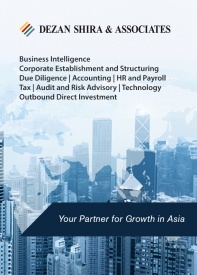 With increased political tensions between China and South Korea, Korean investors are seeking out new opportunities and Vietnam has provided an alternative, with its young and employable workforce. 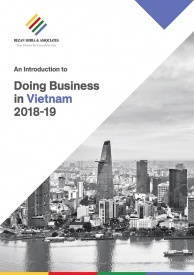 With proper research into factory conditions and zoning issues, South Korean companies should take advantage of the preferential tariffs and tax breaks provided by Vietnam.